As the Senate becomes increasingly active in amending government legislation, some Independent senators say they're feeling overwhelmed by the number of requests they get to meet with lobbyists to discuss bills before the upper house — and they are promising a fix to better manage the volume. While lobbyists have long sought to influence government legislation by bending the ears of a senator or two, the pace of that activity has picked up considerably since the last federal election. Prime Minister Justin Trudeau has stuck with a pledge to appoint non-affiliated senators who do not sit as members of a partisan caucus — freeing his appointees from the usual restrictions that come with party discipline. Unlike MPs in the Commons, Independents are not whipped and do not have to toe the government line. Independent senators can amend bills or propose changes without facing retribution from partisan bosses. This freedom is apparent in the number of government bills that have been amended by the upper house in this session — 14 out of 53 so far. Only a handful of bills were changed by the Senate under the former Conservative government. The Senate has pushed for changes to the Liberal government's overhaul of the Transportation Act (which prompted considerable lobbying activity from railway companies), its plain-packaging tobacco regulations, the Cannabis Act, citizenship laws and new political financing rules, among other items of legislation. The government has accepted many of the Senate amendments. So it's really no surprise that the number of meetings between senators and lobbyists (or "communications," to use the term preferred by the lobbying commissioner) has ballooned from 472 in 2014 to well over 2,000 in the last 12 months, according to the latest statistics from the lobbyists' registry. Groups ranging from the Western Nova Scotia Lobster Dealers and the Davie Shipyard to the Mining Association of Canada and the Mennonite Central Committee have been clamouring for face time with senators studying and debating consequential legislation. According to the agenda of a recent Independent Senators Group (ISG) team meeting, obtained by CBC News, senior ISG senators discussed "lobbyist participation in Senate committee activities." That followed a claim by Independent Quebec Sen. Raymonde Saint-Germain that lobbyists have been given "too much time and too much importance" in Red Chamber committee meetings. She's called for more "independent experts" and "people who bring added value." Independent B.C. Sen. Yuen Pau Woo, leader of the ISG, said the Independent senators are now trying to craft a set of "best practices" to handle lobbying requests. Partly, the senators simply want to manage their time better, Woo said — but they also want to maintain their independence in the face of "pressure" from government relations professionals to change legislation. 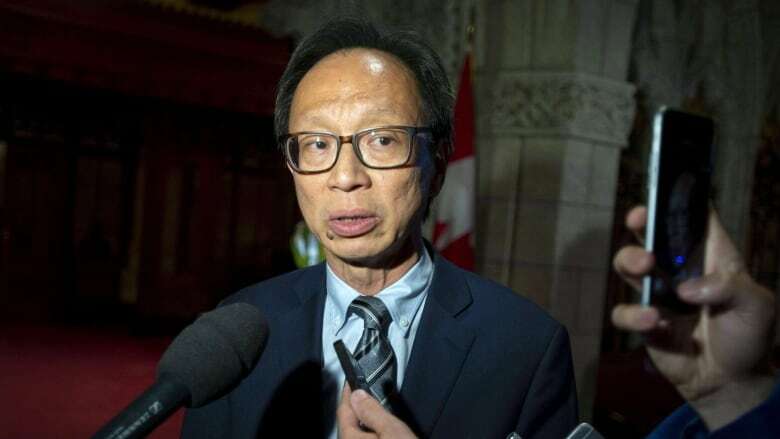 Woo said that while Independent senators don't have to deal with the strictures that come with being a member of a party caucus, they still don't want to feel beholden to lobbyists and the interests they represent. "Many of us are relatively new in the Senate and we take very seriously the idea that non-partisan, independent Senate should not only be non-partisan and independent in practice but also in appearance. And the way we interact with lobbyists could affect the appearance of our independence," Woo said in an interview with CBC News. Woo said Independent senators do not want an over-reliance on lobbyist input at committee — where senators can best exercise their "sober second thought" function — to "erode public confidence in the work of the Senate." "While it's perfectly legitimate for us to listen to the views of lobbyists, we should at all times strive for balance, for a diversity of views and for a deliberate, careful approach to evaluating legislation that's in the best interest of Canadians," he said. Woo did not say exactly how the Independents might limit the intensity of lobbying activity in Senate circles. He said the conversation among ISG members is still ongoing. It is also not entirely clear how the ISG — which holds a majority in the Senate but is still just one of the parliamentary groups — would go about policing lobbying activity, which is already governed by the Lobbying Act. Moreover, the witnesses called before committees typically are chosen by a three-member steering committee composed of one senator from the ISG, one Conservative and one Liberal caucus. In other words, it's not up to a single group to overhaul longstanding committee practices. And while the word "lobbyists" might conjure up negative connotations in the minds of some voters, lobbyists are often people who know a great deal about a particular piece of legislation and an industry. Philip Cartwright, a lobbyist at Global Public Affairs and the president of the Government Relations Institute of Canada, said lobbyists are part of Ottawa's political ecosystem. "I'm not surprised senators are feeling overwhelmed. There's lot of big legislation in the system, and legislation that matters," he said. "But, that aside, advocacy is enshrined in law as an important part of the democratic process and good public policy and better informed public policy and law and regulation comes from engaging with people on the outside. It's critically important work." While protecting their clients' bottom lines, he said, lobbyists also offer politicians practical advice, flag provisions that might be unworkable, point out unintended consequences and offer recommendations to close loopholes. And not all lobbying is corporate; some lobbyists are employed by not-for-profit organizations and charities. Cartwright said his organization would vigorously fight any effort to formally curtail lobbyists' access to parliamentarians. "It would be a complete infringement of our rights. And not our rights as registered lobbyists but the right of any Canadian to be able to access government in a fair and transparent way," he said. He said the group representing lobbyists, the Government Relations Institute of Canada, is willing to work with the ISG and other senators to find ways to streamline the work.